PayNow Corporate was launched on 13/8/2018, as the corporate extension to the peer-to-peer transfer service PayNow launched by the Association of Banks in Singapore (ABS). Singapore-incorporated companies can now utilize the PayNow infrastructure to pay or receive funds instantaneously; Either by using their Unique Entity Number (UEN) or through QR codes. Most observers expect the launch of this service to make the process of transferring funds easier than ever before. However, the team at Lendingpot believe that companies using this service may also find it easier to obtain business loans in the future and here are 3 reasons why. Currently, financial institutions find it difficult to accurately track and account for cash or cheque transactions as legitimate business transactions. We believe the ease of using PayNow Corporate will replace cash and cheque transactions eventually. Gone are the days when credit officers will have to individually identify cheque payment or receipts. This will reduce confusion and allow financial institutions to clearly assess an SME’s true creditworthiness. (Edit: 17th Sept 2018) Lendingpot found out that PayNow Corporate transactions will be chargeable to the SME for both incoming and outgoing PayNow transactions while remaining free for peer-to-peer transfers. Small business owners often transact in cash as most corporate transaction services are chargeable, including services such as clearance of cheques, NETS or credit card payments. Judging from PayNow (the peer-to-peer version), which was released earlier, we can reasonably expect that PayNow Corporate will also be free. If so, there will no longer be any disincentive for companies, especially small businesses, to move towards utilizing digital payments and bring cash transactions into the banking system. Once again, this will allow the banks to accurately determine credit scoring for small businesses for loan applications. However, the hidden advantage lies in the fact that there will no longer be any instances of return cheques or failed GIRO transactions. Businesses no longer need to worry about the possibility of receiving bounced cheques issued by their clients. This allows business transactions to be more secure. On the other side, SME’s that issue cheque payments that get returned due to insufficient funds are often marked down by the financial institution during the credit scoring for a business loan application. By using PayNow Corporate, there will no longer be any return cheques, as the transfer is not possible without sufficient funds in the account. Thus, SMEs will be able to get a better credit score and an approval for a business loan application is more likely. In the later phase, Bank of China and ICBC will join in. Therefore, with the nine participating banks, PayNow has access to a massive banking customer base for e-payment in Singapore. To register, businesses can simply check out the participating banks’ online portal on PayNow Corporate to fill in the necessary application details required. Beforehand, businesses should visit www.uen.gov.sg to retrieve their UEN in order to start receiving funds using PayNow. 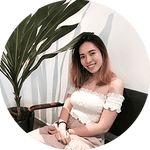 Bonnie Koh is passionate about designing and aims to create her own works of her style. She studied Communication in Singapore Institute of Management – RMIT University. Secretly wish to travel around the world in 80 days.